Chemutai washes her clothes at the Rwanda camp in Kween District. Photo by Daudi Nana. KWEEN— Standing on a rock and washing her clothes Hellen Chemutai, 26, clearly remembers the day in 2000, when a group of Uganda Wildlife rangers and soldiers stormed their home in Kapkwata near Mt. Elgon in Kween. “’This is not your home; you must leave, this is national park land, you are encroachers on government land. You must leave now,’ they ordered us before torching our houses in Kapkwata,” she remembers. It is humbling listening to the mother of three speak about living life as an internally displaced person on Mt Elgon. One is torn between fighting to protect the environment or allowing people to resume their lives in the name of human rights. Chemutai says that in February 2000, the UWA and UPDF evicted more than 624 Benet, Kapsegek, Yatui communities living in Mt Elgon Park. “The people’s houses and crops were burnt. 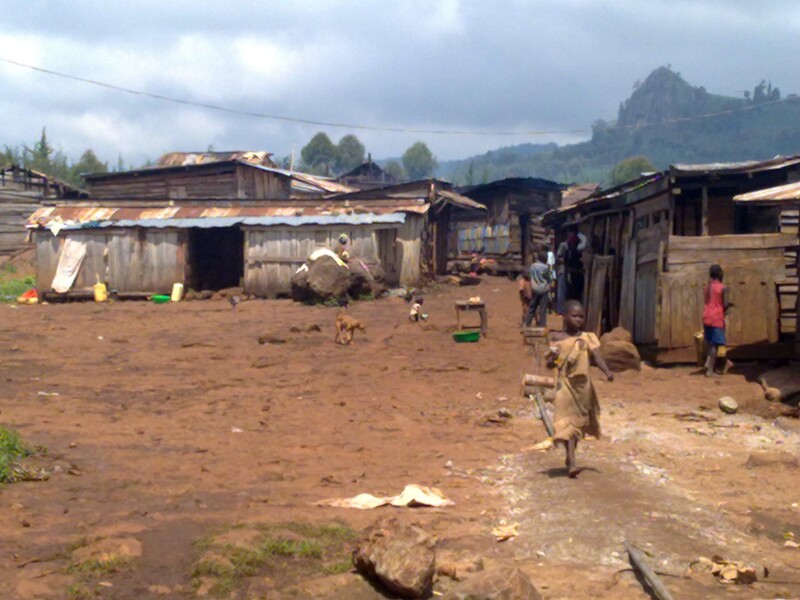 Cattle and other domestic animals and birds were confiscated and people were left homeless,” added Chemutai. She said the evictees found shelter where they could. In caves and under trees while the luckier ones stayed at local churches or moved to their relatives. “Before finally moving to the present day rock at ‘Kisangani and Rwanda’ villages in Kwanyiny sub-county in Kween district,” she said. In 2000, government gazetted Mt Elgon area as a national park to protect its rich biodiversity and the endangered wild animals within its confines. And in the process the mountain dwelling Benet, Yatui and Kapsegek were thrown out without compensation. “Access to the forest and all the traditional activities of these people were henceforth prohibited and this resulted in complete loss of the people’s traditional; social, economic and cultural modes of living,” said Chemutai. 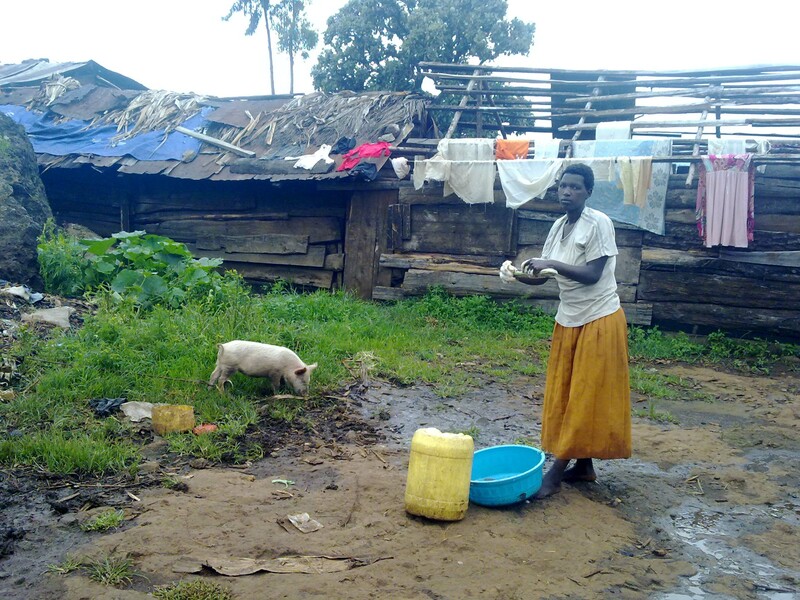 Chemutai is one of many evictees who claim they were forced to leave ‘their cradle land’ and settle on a rock in make-shift shelters built with bamboo shoots, timber, mud and wattle. A visit in this place will reveal a collection of grass thatched huts with wooden walls; makeshift shelters of timber, mud and wattle on a rocky hill in Chelibei village, Kwanyiny sub-county in Kween district. Early this year when the opposition FDC leader, Dr Kizza Besigye visited during the presidential campaigns, he described the situation at the camp as deplorable, with highest human rights abuse and a national scandal. Mr Lazaro Mwanawoi, 62, is one of the about 624 people living in ‘Rwanda and Kisangani’, whose main activity is brewing local alcohol for survival. Mr Mwanawoi says ever since they were evicted, they have been staying on top of this rock. He says despite the government’s promises to give them land in 2011, 2012, 2014 and 2016 for permanent settlement, nothing has come their way. The chairman of the camp, Mr Patrick Satya, says when government transferred the authority of the park to UWA in 2000, the Authority burnt all settlements that had been built by the Yatui and Benet and evicted them from Kapkwata, their cradle land. “UWA evicted us and started planting the forest. We lost land and that is the reason why we are living here. We are still waiting for the land President Museveni promised us,” Mr Satya says. The residents also accuse the area MPs of failing to stand up for their suffering. RDC Kween Joseph Okwakau acknowledges that the people are suffering. “The conditions of living are very bad. These people need land for settlement,” he told PML Daily..
Mr Okwakau says President Museveni has promised to resettle them but that the local leaders want to grab every piece of land allocated to these people. “We even received a letter that asked UWA to demarcate a portion of the Mt Elgon National Park for these people but UWA declined,” Mr Okwakau says. A local human rights activist, Yusuf Makweta, says from forceful evictions and sexual abuse against women, to the deaths of many civilians who have attempted to go to their cradle land, the UWA actions were pervasive human rights violations. “If you went to ‘Kisangani and Rwanda’, the place looks remarkably pre-stone age. This is not right; people must be allowed to access their land,” said Makweta. He said besides the Benet [Kween], Yatui and Kapsegek [Bukwo], UWA also evicted people from Bumasobo, Zesui [Sironko], Bududa, Bumbo and Buwabwala [Manafwa] in Bugisu sub-region. One of the settlements in Kisangani camp. Photo by Daudi Nana. Makweta says while UWA makes millions from tourism, the socio-economic impact the eviction has had on the displaced people around Mt Elgon area is devastating. According to Peter Kamuron, a former council Member for Bukwo district [and Kween district], the displaced people live in dire poverty; on less than 50 US cents a day compared to the Ugandan average daily income [$1,80]. “And for close to two decades now, the displaced have struggled to have their rights recognised, have struggled to gain back their land inside the park without success and nobody is willing to listen to them,” said Kamuron. The LCV chairman for Kween Paul Machinjach says they have filed many reports about the people and the place they are staying in. The government is yet to respond. He said his people have never been compensated for their losses and have been reduced to squatters living in deplorable conditions on a rock. “To-date no Benet, Yatui and Kapsegek is allowed in the park. If they try to get in, they are arrested and beaten for reasons they don’t know. Their rights are being trampled upon, they feel the forest belongs to them,” said Machinjach. Court in Mbale ruled that the Benet were the “historical and indigenous inhabitants” of parts of Mount Elgon National Park, stating that the Benet should be allowed to “carry out agricultural activities” in the areas to which they have historical claim, government is yet to honour this ruling. “And disregard for the courts of law is what is making access to justice for the poor and marginalised communities in Uganda unattainable and we are asking government to provide immediate relief to the evicted people at these camps,” said Chelimo. The former MP Kween Abdi Chemaswet said although during the two decades development has been increasingly related to the issue of conservation, it is important that the Benet are compensated. “The conservation approach has changed from merely limiting damage to focusing on sustainability. It emphasises that conservation, protection of the environment and sustainable use of the eco-systems is highly important in order to attain sustainable development,” Chemaswet acknowledges. “This view is now dominating contemporary bio-diversity use and so UWA can allow the people back in the forest as long as they sustainably live with the environment,” adds Chemaswet. But Mt Elgon area conservation manager, Fred Kizza, says UWA will not carve out any area in the park to give out to any individuals for settlement until Parliament approves it. Kizza said UWA found it prudent to address the issue of encroachment in the park which was illegal as the boundaries of the park had been redefined. “And the eviction was undertaken humanely because UWA had given these people time to vacate,” he said. Kizza says that the Benet got land within the park for resettlement in 1983 and recently in 2009/2010 and that the people claiming for settlement and land now are not Benet, Yatui or Kapsegek. “And last year we allocated more land to the Yatui in Bukwo, Benet and Kapsegek. What do people want? The national park land can only be given out in Parliament. For us as UWA, we have no authority to give out,” said Kizza. A verification report by Mt Elgon Conservation Area under UWA comprising of the Benet and Yatui leaders, and one of the longest noncommissioned officer at Mt Elgon conservation area, Patrick Chebet says the group asking for land comprises of people who are beneficiaries of Taungya farming system. Under Taungya farming system, people have been contracted to plant soft wood plantations in the national park, look after it and have been allowed to do gardening of maize, beans and vegetables alongside the trees. “Some Kenyans [Kikuyu] who formerly worked with Elgon Sawmill owned by Heron Nganga; former government workers of Forest Department; Kapkwata Sawmill workers owned by an Indian and workers of Sipi International Sawmill owned by former state minister for transport Dr Stephen Chebrot have all been enlisted as the displaced yet they are not,” said Kizza. The report reveals that there are 82 former casual labourers, traders and Taungya residents in Kapkwata forest village. Twenty one former forest workers, 34 former sawmill workers; Robert Yesho and Peter Sikoria who are serving soldiers, teachers, several Sabiny and Bagisu who own land elsewhere and are claiming to be landless. Another verification report for 2013 written after an inter-ministerial mission to Mt Elgon National Park which made an assessment of the possibility of degazetting parts of Mt Elgon to resettle the people living in ‘Kisangani and Rwanda’ near Kapkwata, also says the people on the rock are not Benet, Yatui and Kapsegek. The report is signed by Pamela Komujuni [then disaster management officer at OPM]; John Makombo, director of conservation at UWA; Domisiano Owor, wildlife officer at ministry of tourism, trade and industry and Julius Mafumbo, senior environment officer at the ministry of water and environment. Kizza wants the slopes of Mt Elgon to be gazetted as a disaster area after a comprehensive geological study because encroachers have gone past the 1993 boundary up to the cliff close to the bamboo zone, which makes it even more dangerous. He adds that government should not give away the ‘Londoni’ [Free area in the park] portion of the park because it is a key catchment area for rivers Siti, Kere, Kaplegep and other streams, as well as two gravitational water schemes.